Preparing your document properly is the most important part of the printing process. Remember, we print directly from your file without altering it in any way. 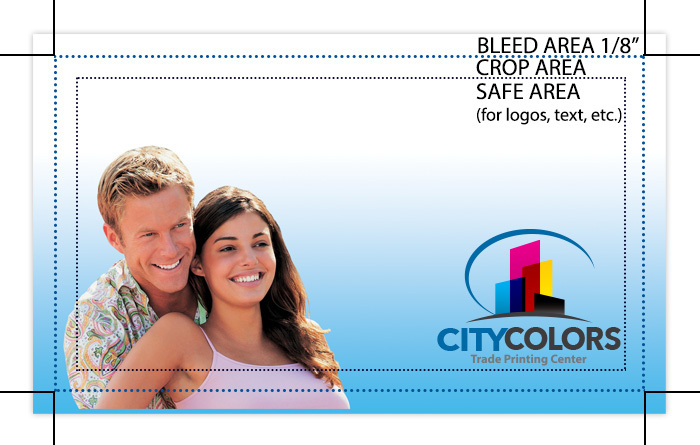 At City Colors we want to make sure that you are completely satisfied with our work. For this reason, we are including the following guidelines that you must follow when submitting your printing work to us. You should download our "How To Prepare Checklist" to make sure that you are complying with all of the requirements. Adobe Illustrator Illustrator EPS, Set all fonts to outlines. If you're exporting an Illustrator file to TIFF Please make sure that you leave an additional 1/8th of an inch all around for bleeding if your document bleeds. For a thorough understanding of the various sizes of documents that City Colors can print, please view our price list for a guide. You may also download our layout templates for some of the most common sizes and design tips. When you select the size of the document you need, please make sure that you leave an additional 1/8th of an inch all around for bleeding if your document bleeds. This will ensure that your entire art and text will be visible once it is cut to it's final size. Make sure, however, that no important art or text is in the bleeding area. You should also have at least 1/8" inside the final size (see graphic below). When using a border, remember it may be unequal either top to bottom or side to side due to minor, inevitable movements in the press and in the cutters. If you final size is to be 3.5" x 2". You may then set your guides to 1/8" outside of the document bounds all around the document. Background colors and other designs may extend to these external bounds (bleed), but no important artwork or text should be in this area as it will be cut off. You should ALSO leave yourself at least 1/8" from the edge of the final document size to where the important information or artwork begins inside the bounds of the document. This is visible in the graphic below as the "SAFE TEXT AREA". This means that the area where important artwork (logos, text, etc.) and information will reside on an 3.5" x 2" has an actual size of 3.375"x1.875". City Colors is not responsible if important artwork or text extends beyond these specifications and is cut off! When designing jobs that must be folded, the setup and positioning are probably the most important factors. When designing Half Folds or Half and Half Folds (also known as double parallel fold) the simple way to do it is dividing the page in half with a guide and then positioning text and objects where they should. This is simple because for example dividing an 8.5 x 11 in half is either 4.25 or 5.5. Now it gets a little interesting when you try to divide a Tri-Fold by 3, using inches. 11 divided by 3 equals 3.666. As you can see it doesn't divide evenly. 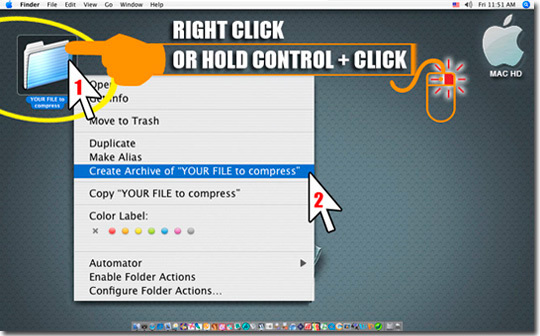 The best solution to the problem is to change the document settings from inches to PICAS. Once in picas, the 11 inch side turns into 66 picas, of course it doesn't change the overall size. Now dividing 66 picas by 3 is 22. What you would do know is place guides on the 22 picas mark and 44 picas mark. Now you can go back to inches or continue in picas and the document is 100% evenly divided now and ready for designing. Vector-based graphics suitable for type and logos should be submitted at 100% scale and converted to EPS CMYK format with all fonts converted to outlines. City Colors will not be responsible for output from an EPS which contains fonts that are not converted to curves. Even if your image is high resolution, you'll still need to save it in the correct file format: TIFF. Always save your pictures in the TIFF format, Do not use LZW, JPG or any other type of compression offered by your software. Most color presses (including those used by City Colors) use the combination of these four colors (Cyan, Magenta, Yellow and Black) to create full color output. Even simpler desktop color printers (such as Laser and Inkjet printers) rely primarily on the combination of these four inks to create full color output. Please convert all fonts to outlines. Fonts that are used in QuarkXpress need to be submitted along with your file. We must receive both the screen and printer fonts used in your file (Collect for Output). Also, don't forget to convert to outlines or curves fonts included in your graphics. A PDF (with fonts embedded) or a hard copy of your work is mandatory for QuarkXpress files for us to ensure that we're printing what you want the way you want it.